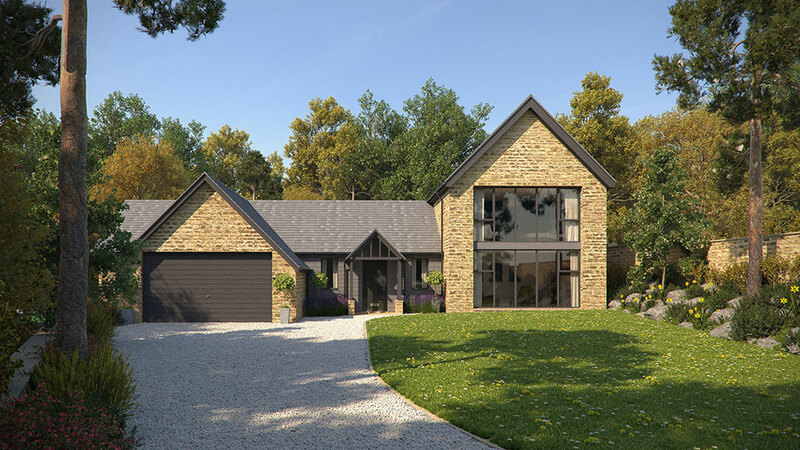 To provide a new build contemporary family home on a challenging site in Sheffield. 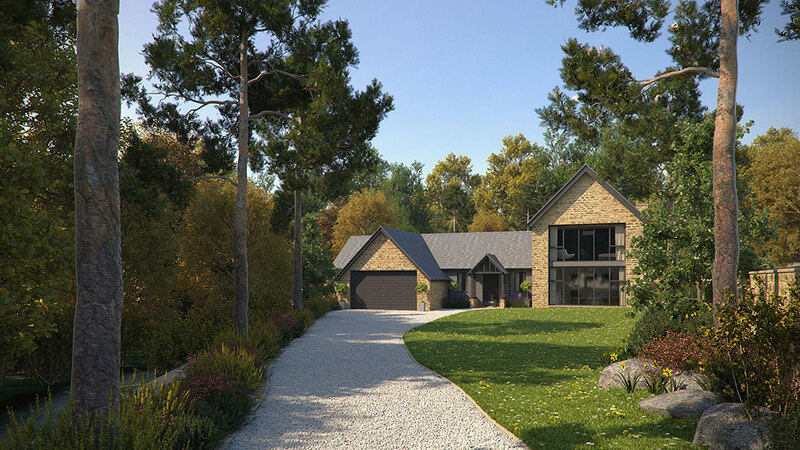 The proposal deals with a variety of complex site restraints to provide a new dwelling which channels its views out towards the adjacent woodland. The new build house had to respond to its immediate neighbours and street scene to create a successful addition to the area. The proposal has been designed to use the site topography and step down with the land to minimise its impact on the surrounding area. Height is created in the form of a two storey block to address the adjacent, main road and continue a street pattern which is present along the road. Materials have been chosen to reflect the site's juxtaposition between a built up residential area, predominantly made up of stone and brick buildings, and the warmth of the adjacent woodland.